The Explorer II has been expertly designed to aid those with a sense of adventure. The watch features a unique 24-hour hand with high performance shock resistance technology ensuring the highest durability. Additionally, it has a rapid hour hand setting function, enabling the wearer to switch quickly between two different time zones. However, you do not need to be a keen explorer to enjoy its larger 42mm case size, modern aesthetics and updated movement, which guarantees precision timekeeping. Thanks to a combination of visual appeal, robust design and innovative technology, the Rolex Explorer II is a much sought after timepiece, capable of impressing any onlooker. Introduced in 1971, the Rolex Explorer II was a spin-off from the original Explorer model, building on its design with the inclusion of a 24-hour time display. Like its predecessor, it was designed for professional use by expedition groups, explorers, climbers, speleologists, volcanologists, catering to their various needs. However, while it is now one of Rolex's most recognisable models, the Explorer II was not an instant success and is actually a great example of a timepiece that grew in demand over time. In this post, we take a closer look at the various Explorer II models and how the collection has evolved throughout history. The first Rolex Explorer II model, officially known as the Reference 1655, was released in 1971, with its defining features being its 40mm steel case, as well as the presence of a 24-hour scale on the bezel, and an additional hand for indicating the time on that scale, in 24-hour format. It was powered by a calibre 1570 or 1575 movement. In terms of function, the 24-hour time display was considered to be an important addition, especially for those spending long periods underground, or away from natural light, where it can be easy to become disorientated. 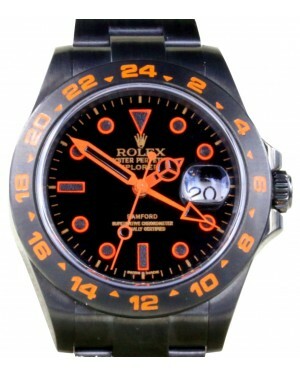 The 24-hour hand on the original model was bright orange in colour and longer than the main hour hand. Throughout its life cycle, the Reference 1655 underwent some changes, starting with the addition of extra luminosity in 1974, enhancing legibility. This was followed a year later by a decision to switch the orange 24-hour hand to a red hand. Over the years, some small changes were also made to the dials. Initially, the Explorer II did not sell especially well, although sales increased as time went on. As a result, older models are now highly sought after by collectors and the small changes throughout its production cycle can have a drastic impact on the value of a Reference 1655 when it is sold at auction. 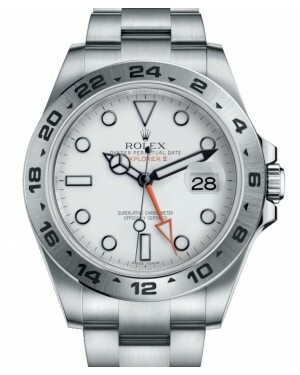 In 1984, Rolex introduced a second generation of Explorer II watches under the name Reference 16550. Among the major changes were a switch to a new calibre 3085 movement, as well as a significant change to the model-defining 24-hour hand, which remained red in colour, but now featured a white arrow-shaped tip. Moreover, the Reference 16550 was available with a choice of the previous black dial, or a new white dial. 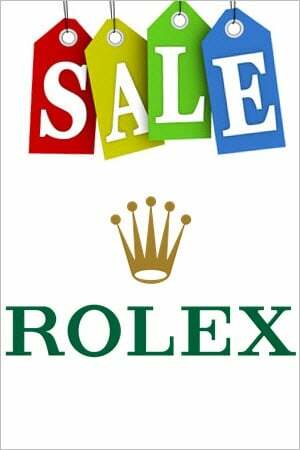 Models with the white dial had a slight defect, which caused the white to gradually fade to a cream colour. While this was considered a problem at the time, models with this faded cream dial now attract high prices at auction. That particular model number remained in production for just four years, before making way for the Reference 16570 in 1988. Again, the movement was updated, this time to the calibre 3185, while the main alteration to the aesthetics was the addition of black hour marker rings on the white dial version. Despite the changes, the Reference 16570 was not an especially popular model and sales were not as high as many other timepieces in the Rolex catalogue. Throughout the following years, however, there became an increased demand for vintage Explorer II models, suggesting that a demand for the collection still remained. In 2001, Rolex introduced a new Explorer II model, Reference 114270, bringing the collection into the 21st century. The most notable feature of this release was the switch to a calibre 3130 movement. Ten years later, the manufacturer unveiled a more significant update to the collection in the shape of the Reference 216570. Embracing modern design trends, the Explorer II Reference 216570 benefited from an increased 42mm case diameter and was powered by the calibre 3187, complete with a Parachrom hairspring. Visually, the model retains many vintage Explorer II elements, although the orange 24-hour hand, a clear nod to the original Explorer II, is now larger in size and bolder as a consequence. Other improvements include improved luminosity, further improving legibility, and a new Oyster bracelet with Easy-Link system. At present, the Reference 216570 remains the most recent release in the Explorer II collection and it has attracted admiration from collectors, professionals and more casual buyers alike. As with all Explorer II models since the second generation Reference 16550, it is available with a choice of either a black or white dial face.